Aviation leader Rockwell Collins has been selected by General Atomics Aeronautical Systems (GA-ASI) to upgrade the Predator B remotely piloted aircraft (RPA) system. The upgrade will simplify the RPA's civil airspace access. GA-ASI, which earlier this year launched Team Reaper Australia as part of its solution to the Project Air 7003 requirement, has selected the capabilities of the Rockwell Collins Pro Line Fusion integrated avionics system for this unmanned aerial system (UAS) ground control station to support customers and missions that require operations in civil airspace. Rockwell Collins said the solution will feature interactive touch-control displays and a proven flight management system to support Instrument Flight Rules flight in today’s airspace. The company said the intuitive operator interface and interactive touchscreen map will minimise the workload of the UAS operators while allowing them to access civil airspace features integrated with the graphical presentation of the existing ground control station. "Our Pro Line Fusion avionics bring a proven, civil-certified pedigree from manned aviation to unmanned systems. The flexibility of the system enables its application for UAS," said Dave Schreck, vice president and general manager of airborne solutions at Rockwell Collin Government Systemss. "This program with GA-ASI will help pave the way and set the standards for UAS platforms accessing controlled civil airspace." The MQ-9B SkyGuardian is the first RPA system of its kind designed to be compliant with international airworthiness standards, according to General Atomics. Deliveries of the MQ-9B PROTECTOR to the UK Royal Air Force are expected to begin in 2019. 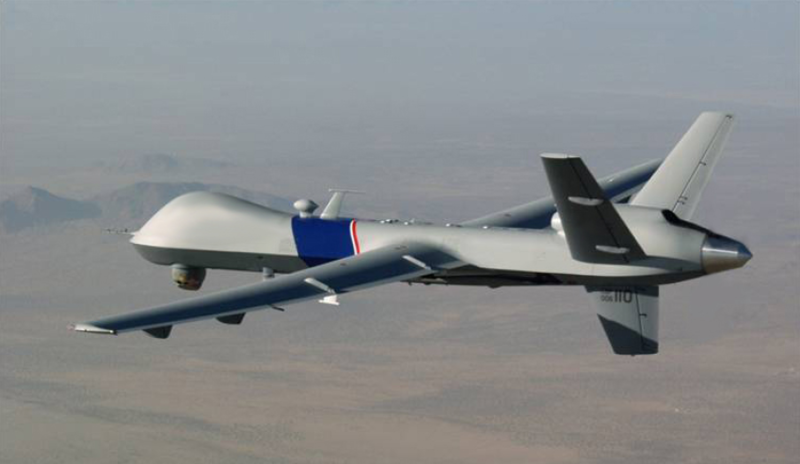 GA-ASI specialises in RPAs, or what are sometimes referred to as self-piloted killer drones. The company also specialises in ground control stations and sensor control/image analysis software, pilot training, radars and electro-optic and related mission systems, including the Predator RPA series and the Lynx Multi-mode Radar.